JJ's Professional Tree Service and Stump Removal, Inc.
We have the latest equipment for your tree and stump removal needs with fully insured service. When it comes to tree service in Albany, NY, you can't do any better than JJ's Professional Tree Service and Stump Removal. Call us for a free estimate whenever you need high quality, safe tree removal services in the greater Albany area. From tree removal service to tree cutting, we're the best in the Capital Region for a reason. Tree cutting can be both an aesthetic choice and a safety necessity. Maybe you want to open your yard up for more curb appeal or get rid of the dead maple blocking your house from the street. You could also need professional tree cutting service to take care of a tree before it falls in your yard or on your house. No matter what your needs are, JJ's Tree Service can help with safe tree removal, cost effective services, and courteous, friendly customer service. We also offer 24-hour emergency tree removal service in Albany, NY. 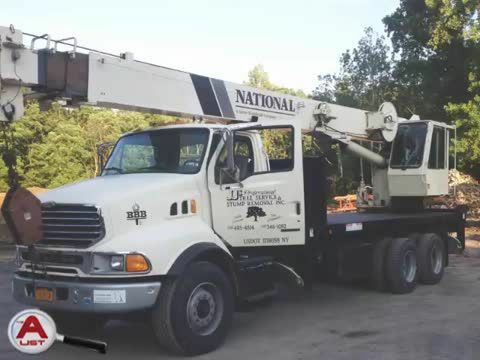 We have more than two decades of experience in tree service, and we're ready to work for you. Our tree removal service is fully insured in New York State, and we have a crane available if your job requires it. We offer 24 hour emergency tree removal service! It can be tempting to try and tackle tree removal or tree stump removal on your own. But we urge anyone in the Albany, NY area to call JJ's instead. We can even provide you with professional stump grinder services. Tree removal might seem simple, but in reality it is a complicated and potentially dangerous undertaking that could affect water and gas lines, or even the foundation of your home. You'll never have to go it alone when JJ's is around: we offer 24 hour emergency service. At JJ’s Professional Tree Service and Stump Removal, we care about doing the job right. We are fully insured in New York State and we conduct ourselves professionally in every job we do. We hold ourselves accountable for the quality of each job, from start to finish. When you work with JJ’s Professional Tree Service and Stump Removal, Inc. for tree cutting or any of our other services, we will work closely with you to understand precisely what you want done. Together, we plan the best course of action. We execute that plan without exceeding estimates and we finish projects within the anticipated time frame. You can trust JJ’s to do the job safely, whether you’re simply looking for someone to trim your hedges or you are looking for a land clearing service to clear some acreage. If you are looking for a professional and reliable tree service in Albany, NY, call JJ’s Professional Tree Service and Stump Removal, Inc. today. Our tree experts arrive on time for estimates and scheduled visits. They understand that they’re visitors to your property and they behave accordingly. Give us a call today for a free estimate!